Who should you call for well pump service you can trust? Call the expert plumbers at John’s Plumbing & Pumps, Inc! 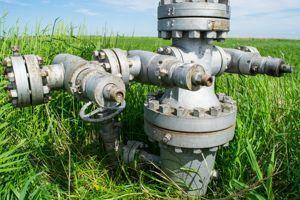 When you need well pump service, it’s often something that you don’t want to avoid for long. A malfunctioning well pump can cause a plethora of water issues, with one of the most egregious being that you have no access to water on your property at all. If you don’t have any water, it’s an emergency you want to be handled right away. Give our plumbing team a call, and we’ll send someone over immediatly so you don’t have to wait. Could I fix the pump by myself? It depends on what the problem is and how confident you are in your plumbing knowledge. We’ll always recommend a couple of the simplest fixes before coming by, such as checking that your circuit breaker hasn’t been tripped. Sometimes, the solution to a complex problem is as easy as flipping a switch! 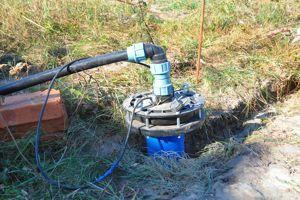 Your well pump is made of multiple parts that must work in harmony in order for it to function properly. Because of this, a single faulty component can cause the whole system to work improperly–or not at all. There are three common symptoms to look for that indicate that your well pump should be inspected by a professional plumber: No water, low water pressure, and water discoloration. If you’ve ruled out that the breaker box wasn’t the problem, then you probably have a major component malfunction with the pump itself. Many pieces only cause inefficient water delivery. However, some parts can cause it to stop working entirely. One of these is the motor that powers the pump to pull water from the source. If this burns out, you’ll need a replacement, and our plumbers will make sure you get the one that works right for your system. Sometimes, water from rural water systems can be discolored. Often, the sediments in the water will clear up after a couple of seconds of running the tap and you have nothing to worry about. If this problem persists, however, it could mean your well pump is working incorrectly and is bringing in more than water. Let our plumbers take a look and see if the discolored water is anything to worry about. If you suddenly have a sharp drop in water pressure, it might be a good idea to you have your well pump looked at before it gets worse. Sputters in your water when you turn on the faucet are also a cause for concern. If your water is doing this, you could have a problem with your water pressure regulator or something else. We’ll find out the cause and make sure it’s fixed right. Choose us for well pump repairs and more! Along with fixing and installing new well pumps, the crew at John’s Plumbing & Pumps can do a lot more plumbing services for your Roy, WA home. From repipes to slow draining to water tank replacement, we do it all! Give us a call today to get started.